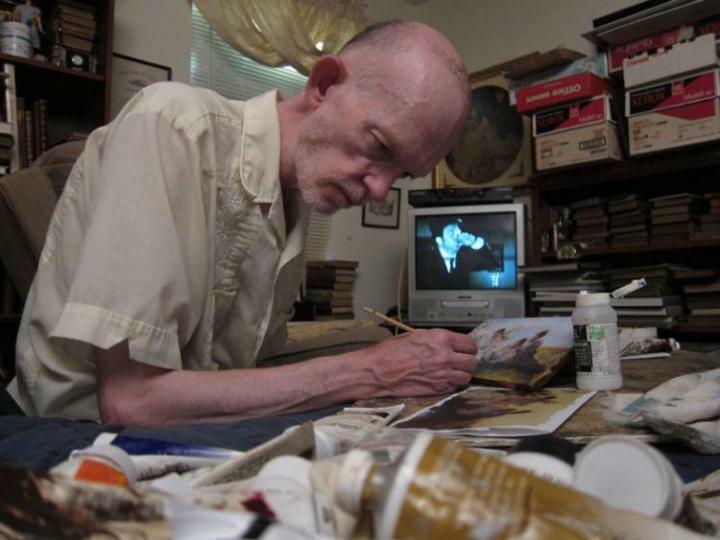 For almost 30 years, Mark Landis has made a name for himself as one of the most prolific art forgers in the world. He’s replicated a variety of work from famous artists, from Picasso to Charles Schulz and winds up donating his copied art to museums, playing the role of a philanthropist donating the “found” artwork. He’s actually quite a good artist; in fact, he’s really something. 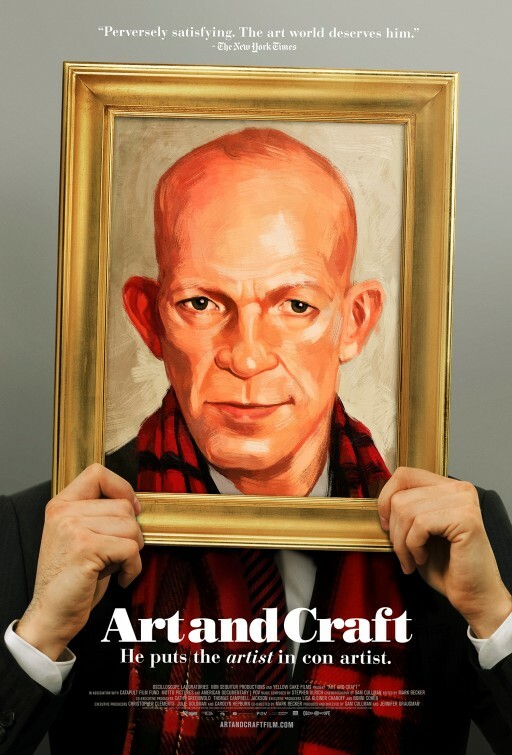 With his nebbish demeanor, nearly shorn skull and jug handle ears, Landis is unmistakable and from the start of “Art and Craft”, as he meanders the aisles of Hobby Lobby, gathering supplies, his determined shuffle and mumbling draws us in. There’s something about this guy. He looks familiar. Landis could be the guy you see talking to himself on the train, the quite man working at a library or that shifty fella you always see as you depart the grocery store. 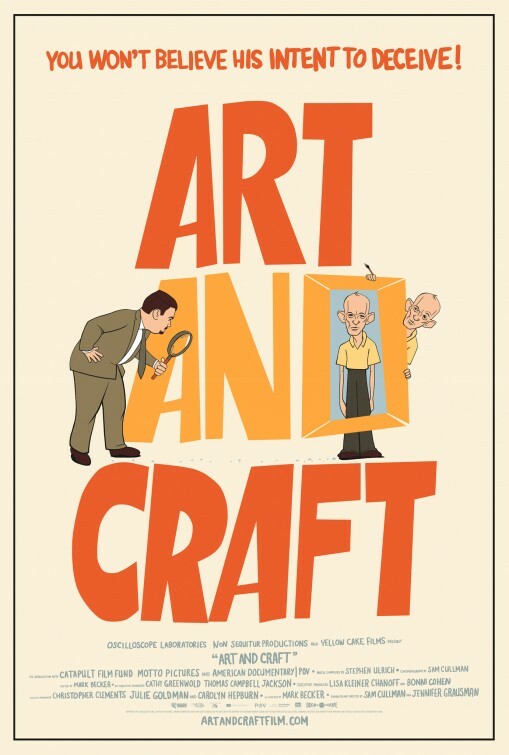 “Art and Craft” takes a look at Landis, who in a way, is an avatar for all those individuals that society writes off. The thing is, outside the world of art museums and auction houses, we would never have known about this guy were it not for this documentary. Directors Sam Cullman, Jennifer Grausman and Mark Becker realize that and their goal here is to introduce Landis to moviegoers and develop their own opinion of him. I found myself quite impressed with the guy’s artwork. Sure, he’s copying or, at times, painting over paintings, but his meticulousness is impressive. In fact, I got a kick how the 60 year-old finds himself impressed with his own work. Again, he’s not in it for the money. I wouldn’t say that what he does is all that different from Tim in “Tim’s Vermeer”. On the opposite end, there’s the idea that what he’s doing is wrong, something that I wasn’t totally sold on. 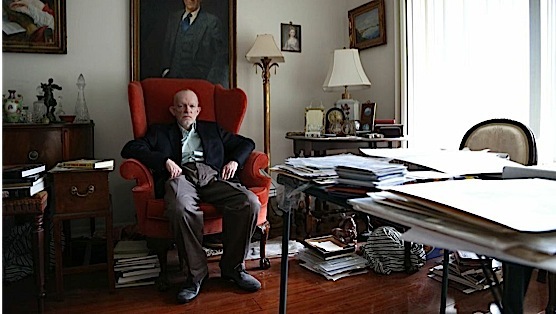 A registrar from an art museum, Matthew Leninger, has become somewhat obsessed with stopping Landis from continuing on with his work, primarily because he (like so many other art professionals) was duped. His We also see another professional, Aaron Cowan, actually speak with Landis on the phone, which becomes a probing Q&A, that turns out to be quite revealing. Neither Leininger or Cowan come across as the good or bad guy, which deflates the not-so-subtle cat-and-mouse vibe of the movie. This is true especially once we find out about Landis’ past. At age 17, he was diagnosed with schizophrenia and even now, as we see him check in at a mental health facility, it’s hard to vilify such an individual. 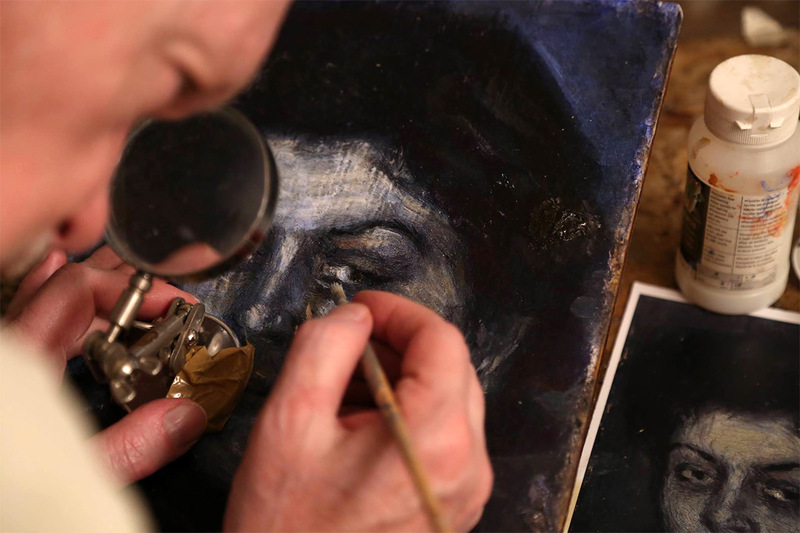 Not the directors even really set out do so, but the whole notion of an art forger, makes the character out to be some kind of reverse Thomas Crown – instead of stealing art work from museums, he provides them with fakes and leaves the professionals to decide whether or not they’re real. Landis’s deception is masked with his pre-rehearsed charades, where he gets off on masquerading as convincing alias such as an eccentric aristocrat or a Jesuit priest (hilariously, he credits his DVD of Father Dowling Mysteries as his research for the role). The fact that so many believed these alias is credit to Landis’s talent for spinning involved tales and also speaks to how easily humans want to believe. After all, he did dupe over 40 institutions (a fact that makes me smile). As for Landis’s antagonists, Leininger comes across as a poor man’s Sam Gerard (to Landis’s Richard Kimble), trying to hide his wounded pride by becoming an OCD detective specializing in Mark Landis. He sits at home, props his child on his lap as they look at a picture of Landis on his computer. Leininger asks his son, “Who’s that?” The young boy says, “Mark Landis”, while I say to myself “get a life, dude”. In some respects, “Art and Craft” kind of reminded me of “King of Kong: A Fistful of Quarters”, a great documentary about two opposing figures. They’re by far more contentious than Landis and Leininger, but both justifiably inhabit their side of the spectrum in their own right. I much preferred watching Cowan speak with Landis over the phone (it may sound odd to say that watching a movie showing two people talk on the phone is fascinating, but there it is). Cowan isn’t accusatory, asking questions about Landis’s family and artistic process instead. He may be confound with the audience, since we’re already invested in this lonely, quite-yet-crafty fella from Laurel, Mississippi. “Art and Craft” does well to focus on the here and now, instead of uncover every revelation about this wily character. He’s better left as this strange enigma. Just knowing this harmless talent is out there confusing and frustrating experts is satisfying enough for me.